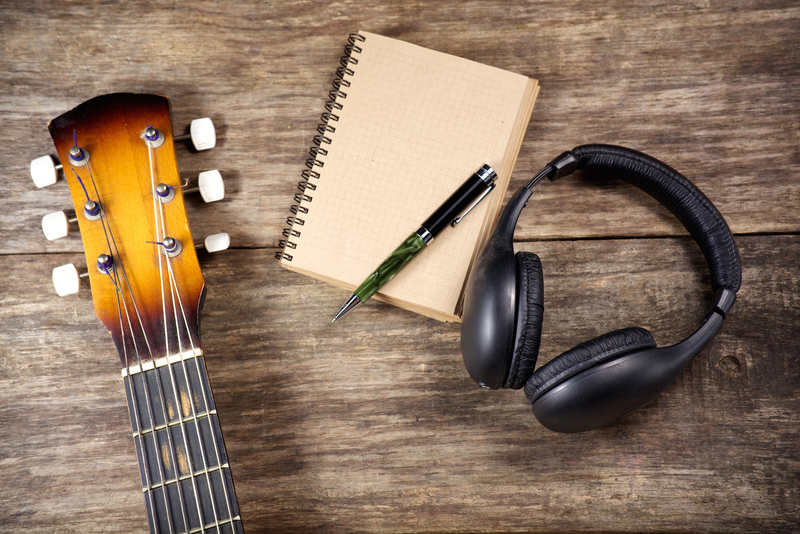 Recording music has become increasingly affordable and accessible in the last few years. This means that it is easier than ever to get your ideas out of your head and onto a proper recording. More people than ever are able to express themselves and create shareable audio files. But what happens next? This very much depends on your personal goals and ambition. I guess what I’m really saying is – it’s great that recording has become easier but the competition to get music out there is heating up! I will share with you some things I have done to sell my music online using social media while furthering your brand and creating brand ambassadors. A “brand ambassador” is someone who supports you primarily by spreading the word about what you do to their friends, family, and colleagues. They are usually your first customers and are your most loyal fans. They are people from all walks of life that feel a connection with you and the music you create. A great piece of advice I’ve learned over the years for performing is that it’s better to think of the performance as “being for the crowd” (and not for you, yourself). The same is true about brand ambassadors and fans. If you can create a feeling in people that they enjoy and/or can relate with then you will be on your way to finding great people who genuinely love what you do. One great way to connect with these individuals is by using various social media outlets in combination with one another. Be friendly and genuine with people on social media and you will find great brand ambassadors to help you spread your music. Building a social media presence takes time, effort, originality, creativity, and consistency. You want to have something interesting to say, something useful to provide (such as music or information content), and a fresh and fun spin on how to achieve it. For example: You are a musician. You use twitter to announce you will live stream your gigs on Periscope/Facebook Live/Instagram Live. You can live stream a portion of your performance to each of these platforms (Perhaps the first 15 minutes of each set. You can usually use the wifi of the venue you are playing in so that you don’t use up your data). You can have pictures taken you you playing that you add to Instagram and you can tag the location and add hashtags for others who don’t follow you yet to find you (A piece of advice, try finding hashtags that aren’t overused. Anything in the millions is so overused that your content will be pushed far down before people can see it ranking at the top of those hashtags). To be creative/stand out a bit try to do something different with your Instagram (such as using a black and white filter on every other picture you upload, to give a pattern effect when people are looking at your profile page). Add people with similar interests and interact with them by liking their posts and leaving comments when you have words of support, advice, or congratulations whenever you can. That’s one example of how to use different social media outlets to begin a brand and spread awareness of it. But how do you find the brand ambassadors? Consistent live streaming once you have a decently established social media presence that you add to regularly is how I found my brand ambassadors and made money selling my music. I used the app Periscope initially. This was pre Facebook and pre Instagram Live. All I needed was a twitter account which let me log on to Periscope once I downloaded the app from the App Store. From there I would search for people by typing “Music”, or “Guitar, or “Singing” into the search field. The app is super interactive and gives you the ability to chat with people and follow each other. I started streaming myself as I would play the guitar, sing, and chat with people for around an hour a day. It didn’t take long to gain momentum and I amassed a following of about 3,500 people. I had my most regular viewer who would tune in to watch me play my music and perform at my shows where I also live streamed myself. People loved this feature as it brought them from their homes and into my gigs. I’d make jokes to my viewers between songs and stay interactive with them. “Play Summertime Life!”. My regulars started knowing my songs and started asking where they could buy it. Luckily I have my own website where I have my songs uploaded into a store where people can buy my music. Most do-it-yourself websites (such as Wix or Bandzoogle) have options for uploading your own stuff and selling it. I figured it all out myself and I’m no wiz. If you try and have issues with it then feel free to leave a comment in the “Community” section of this website and I’ll get back to you. In the first month (after I began selling original tunes) I made about 25 dollars. In the second month I made 50something. In the third month the amount was in the 60s. You can see the trend here. Consistency really was the key. It wasn’t a huge living but these things take time and it grows as you go. For a few short months this trend continued. In the summer of 2015 I moved to Edinburgh to be with my girlfriend who had moved there to complete her masters degree. I had to change tactics and concentrate my efforts on finding paid gigs to pay the bills. Because of this my online efforts sorta fell by the way-side as my new mission was to conquer the music scene in Edinburgh as much as I could. Lately I’m trying to broaden my goals as a music entrepreneur and am getting back into it. Nowadays we also have Instagram and Facebook which have come leaps and bounds in providing free live streaming services. For now I’m focussing on Instagram and am streaming live shows and information sessions live from my home in Scotland. I also use Facebook Live to stream to friends of mine and I plan on re committing myself to my personal music brand on Periscope. The bottom line is that if you have recorded music, and a place to sell it (Your own website, iTunes, etc) then there are platforms for gaining fans and super fans (or brand ambassadors) who will support you, buy your music, spread the word about you to their friends and family and interact with you regularly. Between Periscope, Instagram, and Facebook Live you have great options for growing awareness of you and your music, cultivating a following, and capitalizing on people’s desires to consume the great work you are doing. There’s perhaps some things I’ve left out but keep in mind this is how I managed to sell my music online and gain a fanbase on periscope. It’s better to have fewer dedicated fans who care, share, and interact than 100,000 followers that never interact with you. There’s other avenues of spreading your music such as ReverbNation and Band Camp. I’m not too experienced with these (despite having used them in the past). I prefer the live streaming route as I think it’s more personable and interactive.